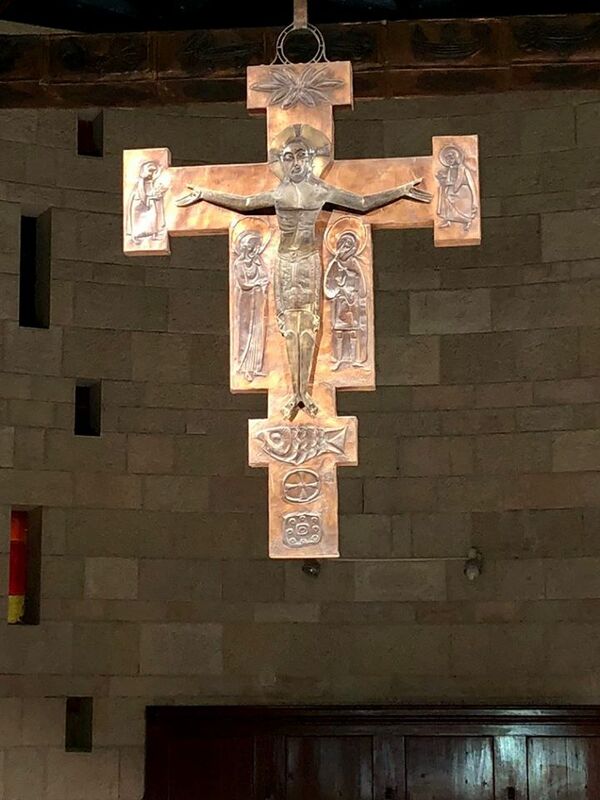 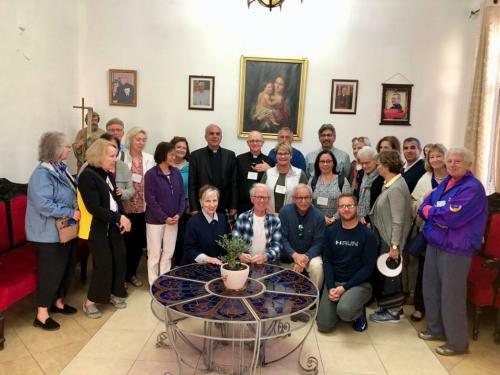 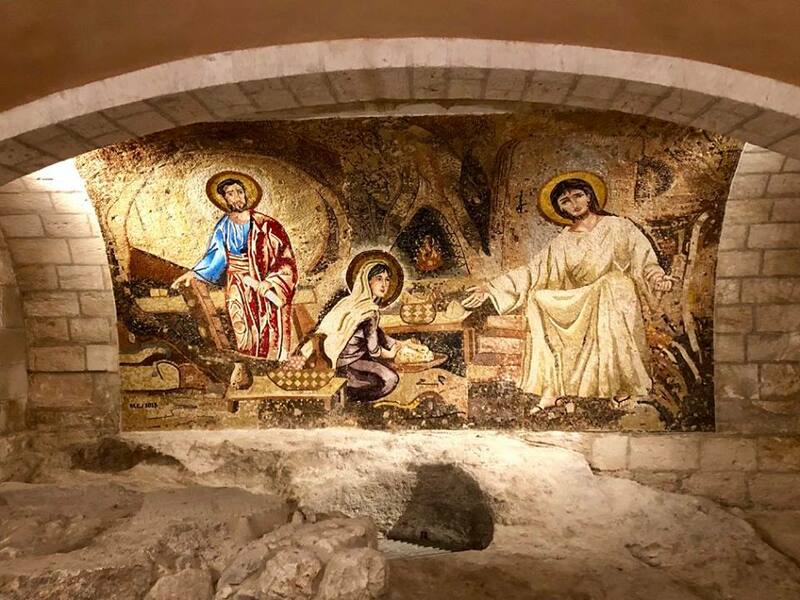 Bethlehem, Palestine – On Tuesday November 7th, a group of American pilgrims from Boston, Massachusetts, led by Father John Predmore S. J.,, Chaplain of Boston College High School, arrived in Bethlehem to commence their HCEF-organized pilgrimage to the Holy Land. 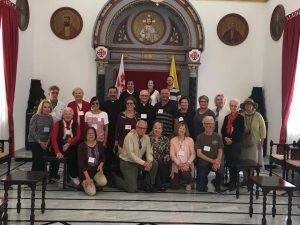 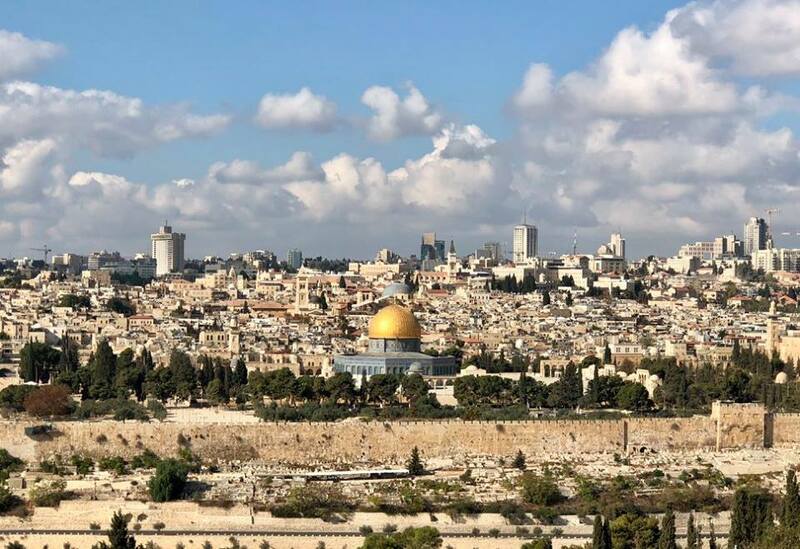 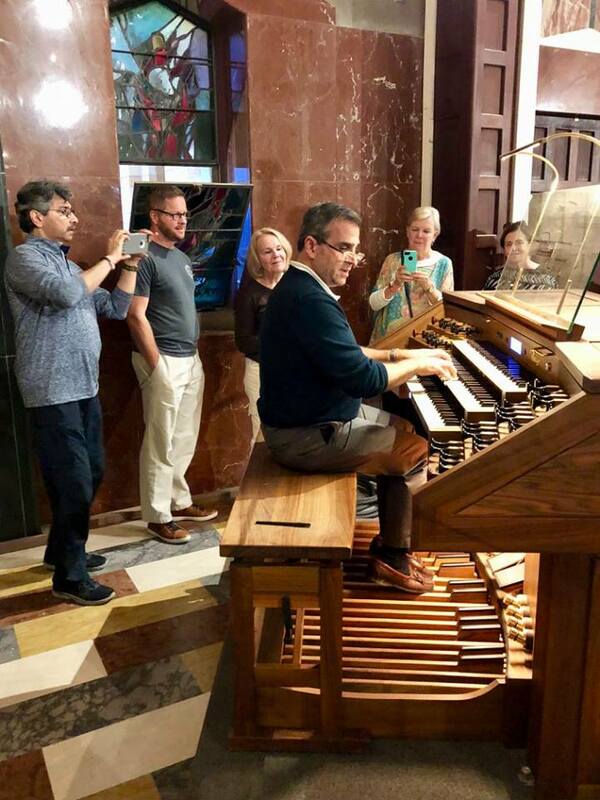 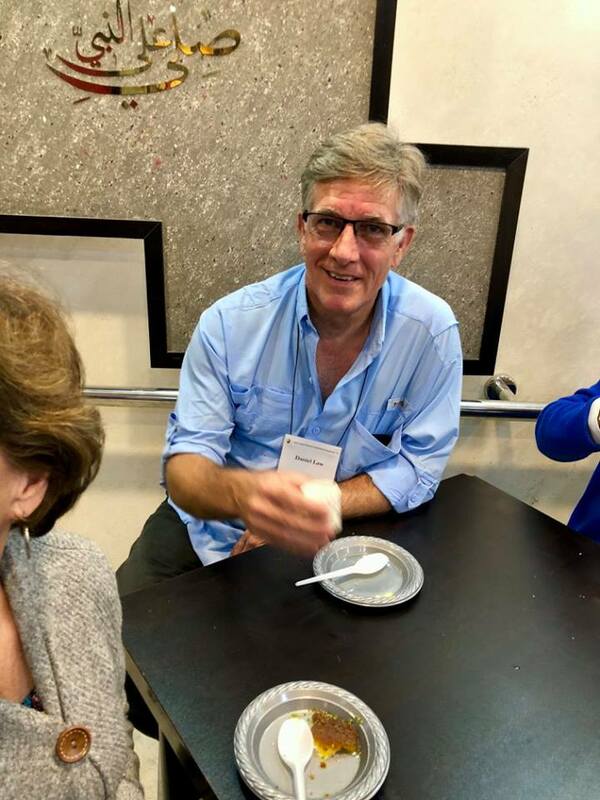 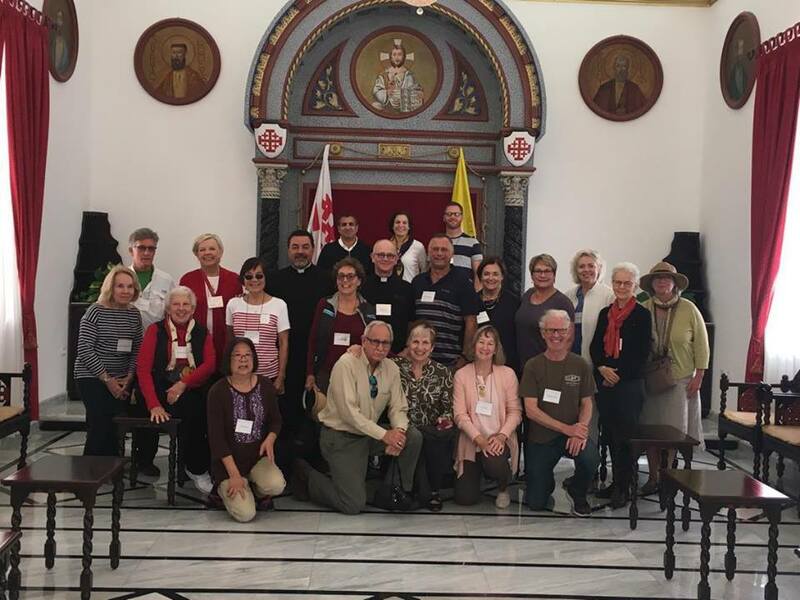 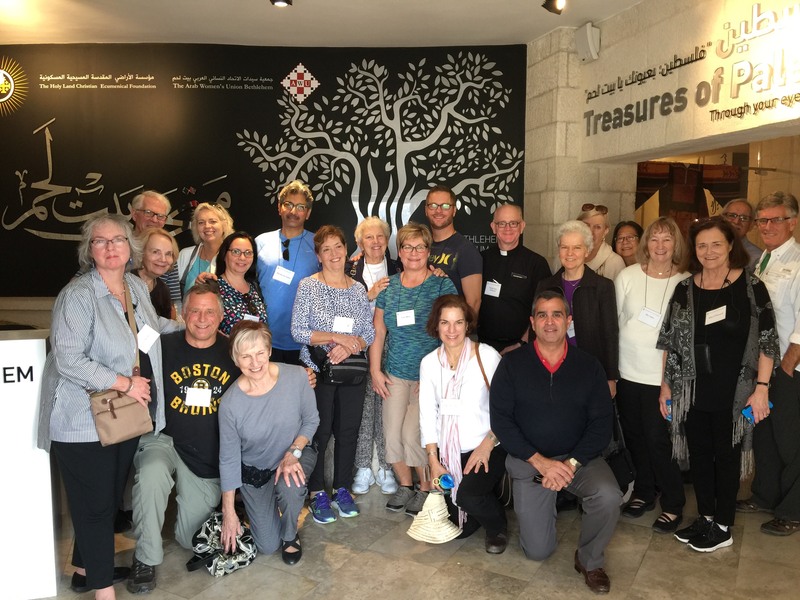 The 23 pilgrims representing parishes throughout the Boston metropolitan area and beyond are part of HCEF’s initiative, Living Stones Pilgrimages, in an effort to increase tourism to Palestine. 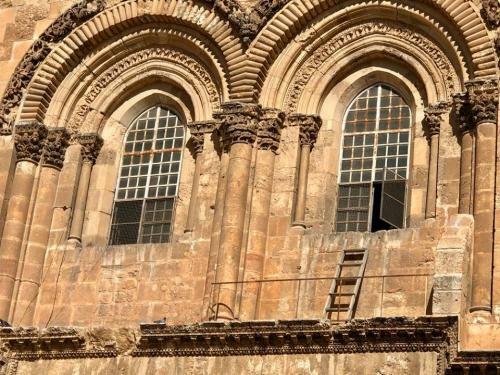 As part of the initiative, Ms. Ghada Habash, Director of Pilgrimages at Holy City Tours, is currently serving as HCEF’s regional partner and representative. 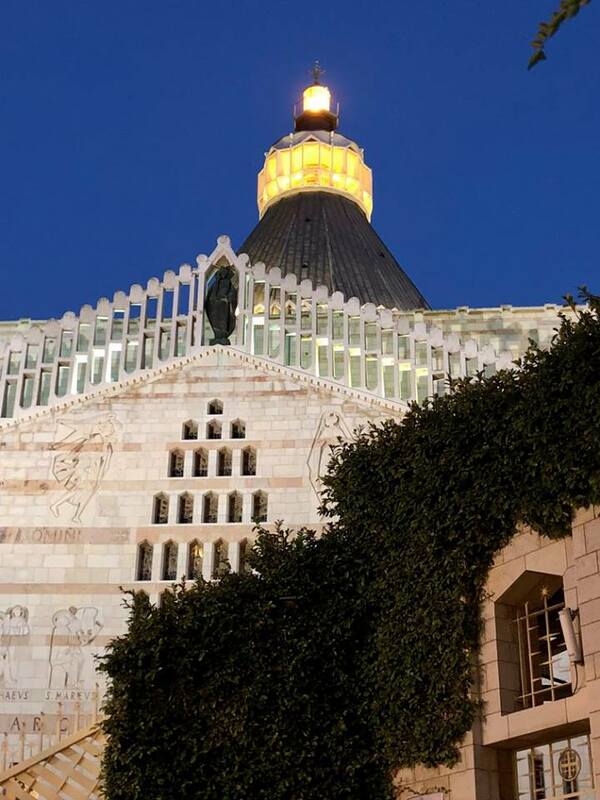 The inaugural pilgrimage serves as a beacon of hope for Bethlehem residents during difficult times. 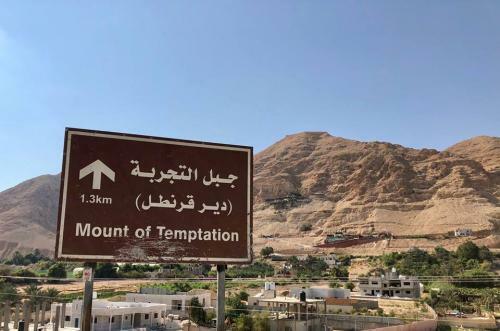 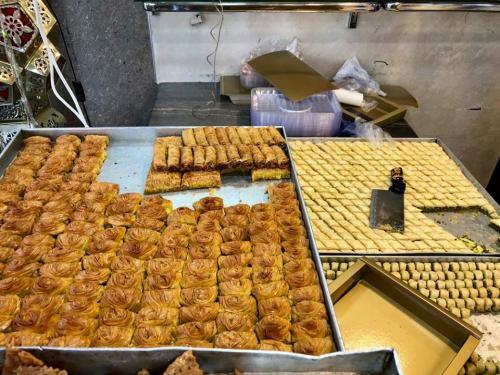 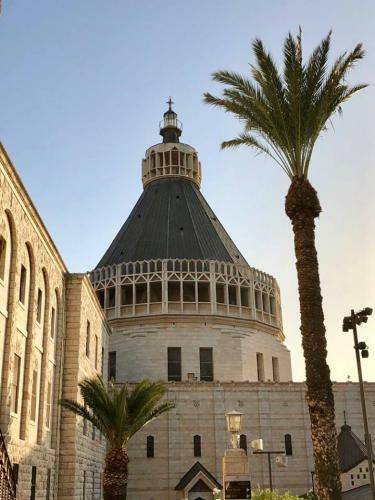 The city of Bethlehem, whose economy relies heavily on the tourism industry, has been hit hard in recent years by waning tourism. 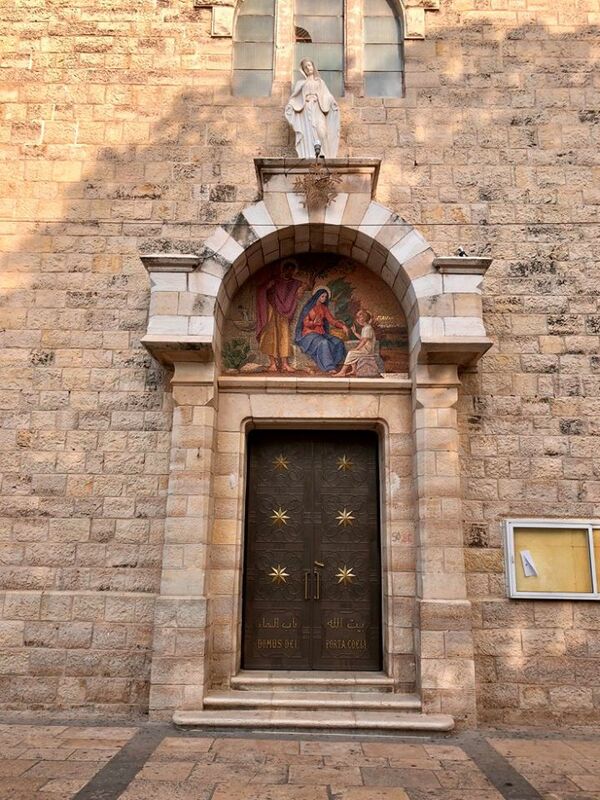 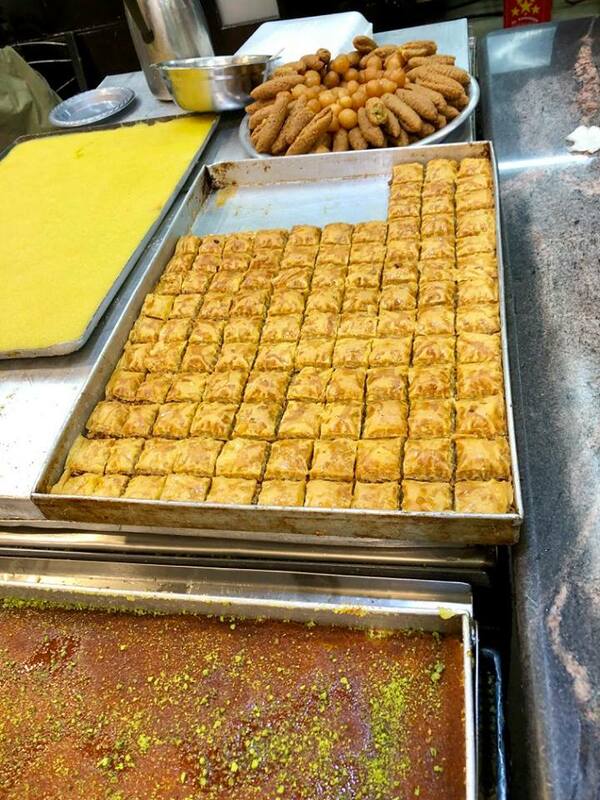 HCEF’s initiative seeks to increase pilgrim traffic by making Bethlehem a home-base for pilgrimages. Indeed, there is hardly a better alternative, with the vast majority of holy sites located within walking distance—Star Street (the path Mary and Joseph took to enter Bethlehem just before Christ’s birth), the Church of the Nativity (where Jesus was born), the Shepherds’ Field (where the angel appeared to the shepherds announcing Christ’s birth), the Milk Grotto (where the Holy Family took refuge from Herod’s soldiers), Pontius Pilate’s Roman Aqueduct, Solomon’s Pools, and other spiritual and historical attractions are located within just three miles of the city center. 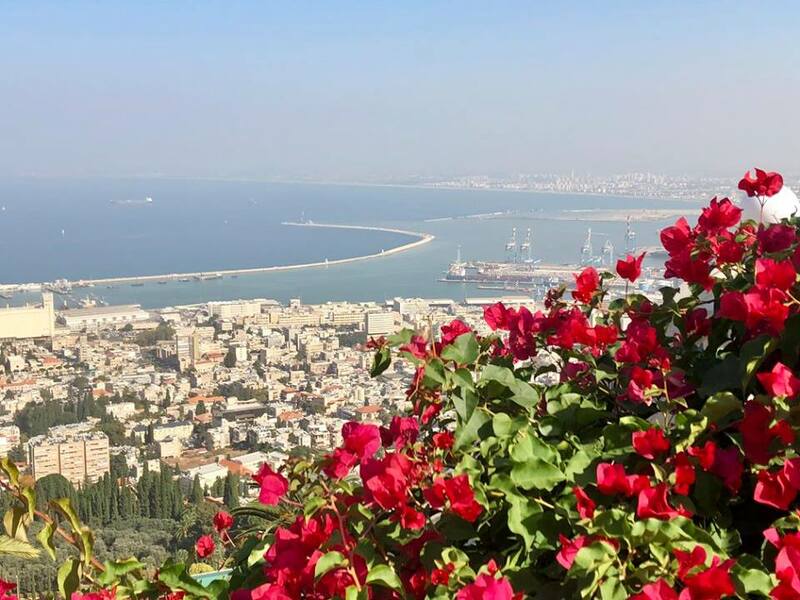 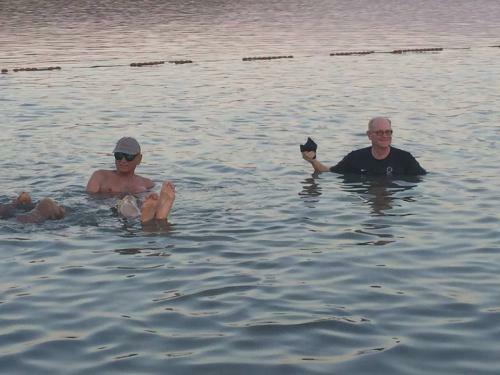 During their visit, the Boston pilgrims will journey throughout the Holy Land, not missing a single stop typically visited on other tours, and even including sites normally unreachable through Jerusalem-based pilgrimage programs. 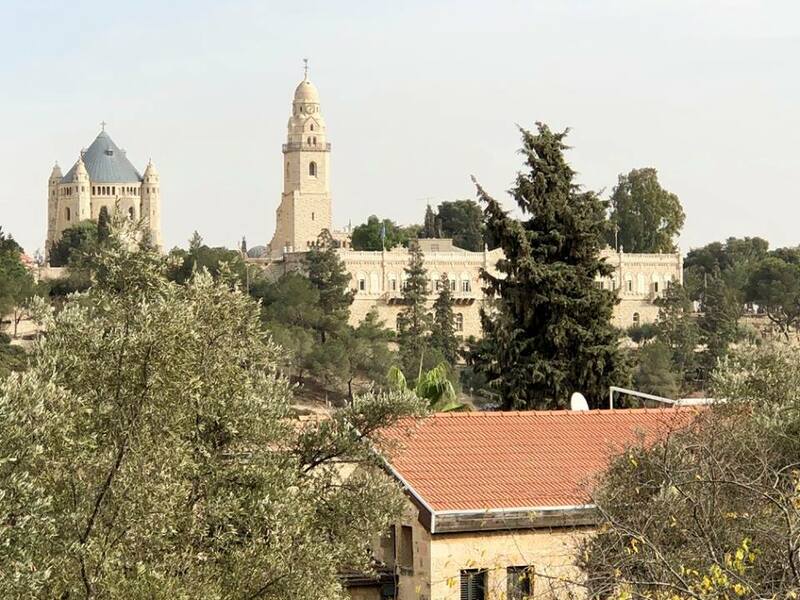 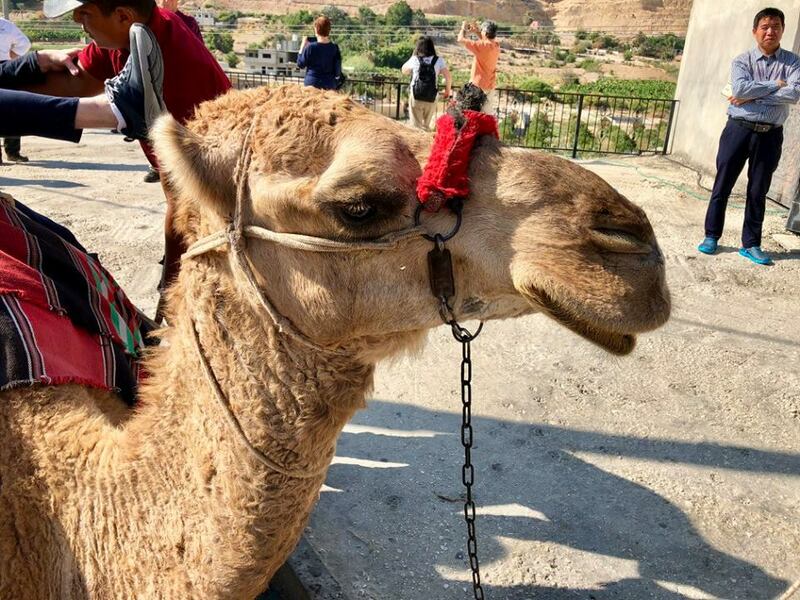 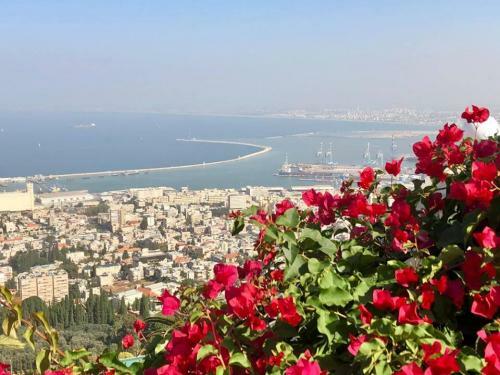 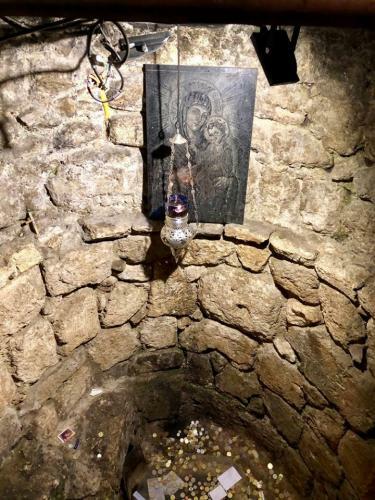 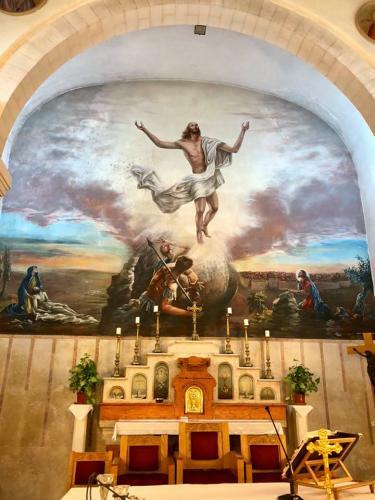 HCEF’s Living Stones Pilgrimages provides a safe and more affordable option for pilgrims, since a two-week stay in Bethlehem is comparably much less expensive than staying in Jerusalem, just a few miles North. 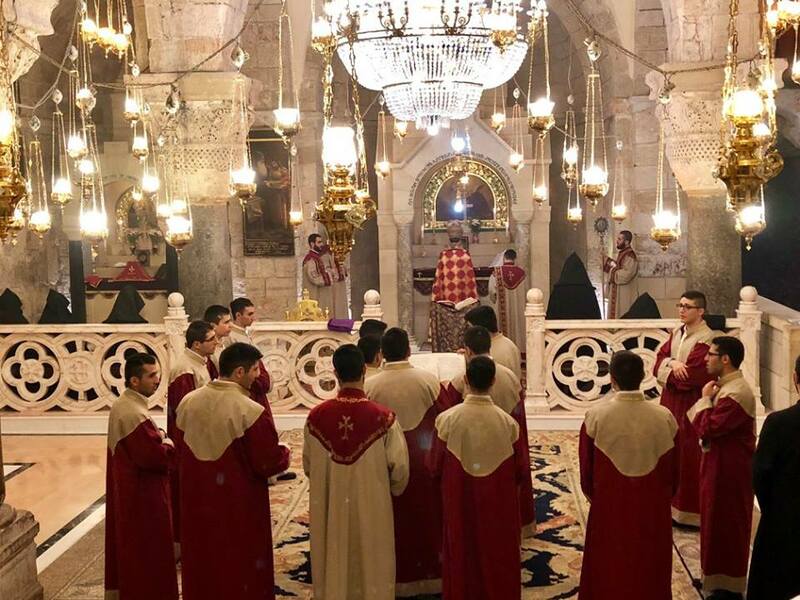 What makes HCEF’s pilgrimage program distinct is its focus on the “Living Stones”—that is, a focus on the first followers of Christ who have been keeping the faith alive in the Holy Land for centuries, today referred to as “Palestinian Christians.” When pilgrims journey with Living Stones Pilgrimages, they not only experience the awe-inspiring majesty of the region’s holy places, but also the richness of local hospitality and culture—the living, breathing legacy of Christ. 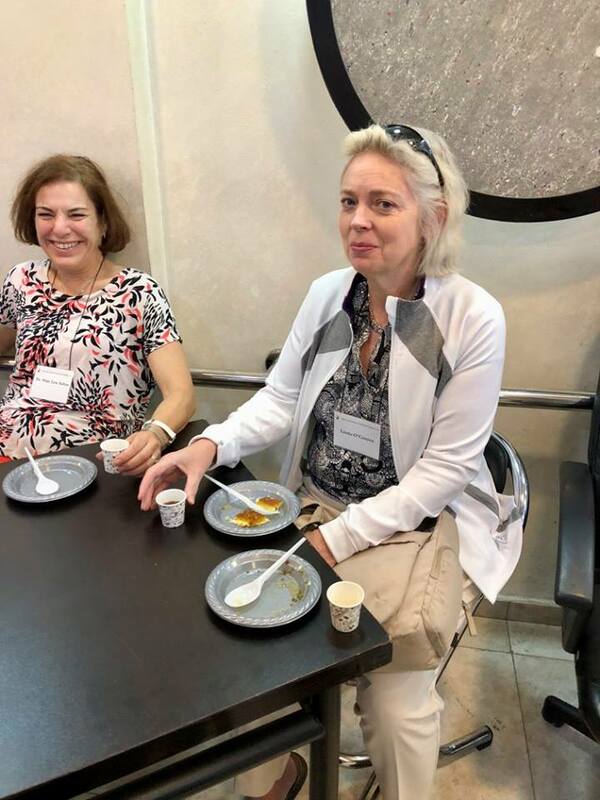 Accordingly, during their visit, the Boston pilgrims have had many opportunities to break bread with local Palestinian Christians. 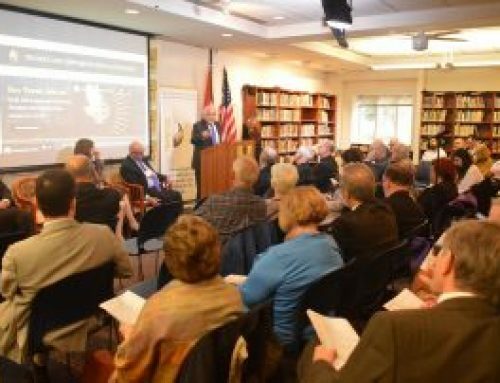 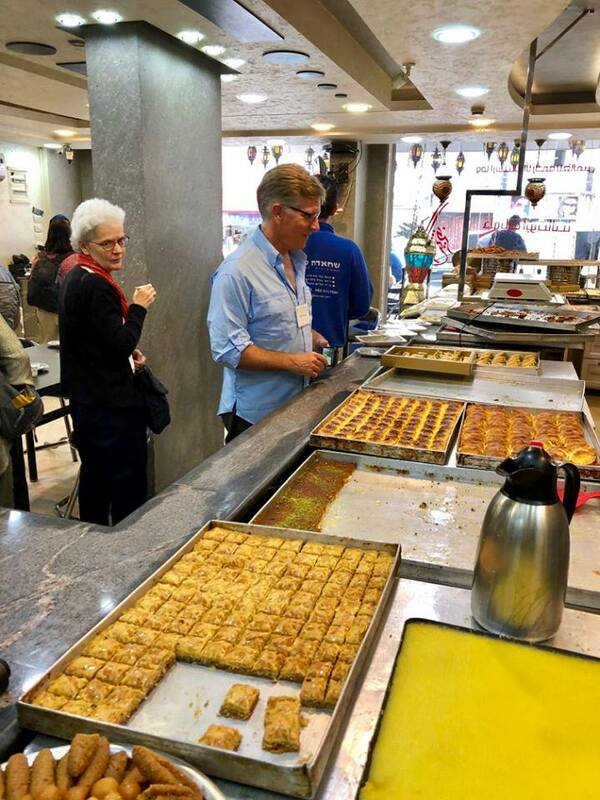 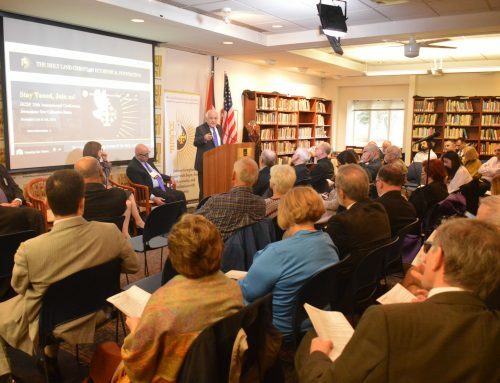 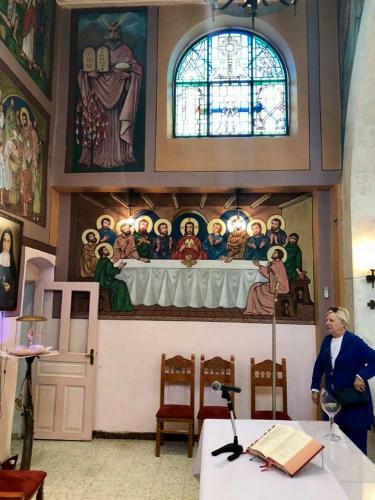 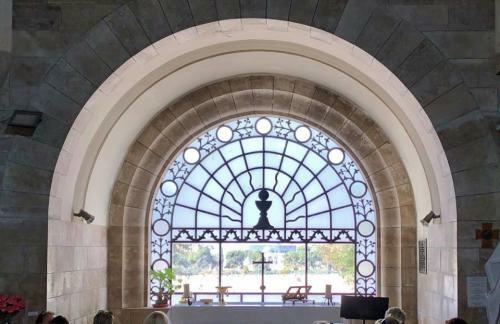 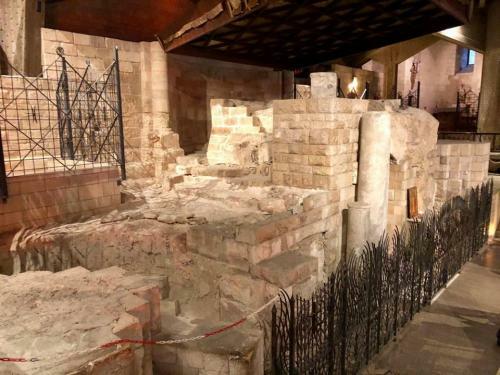 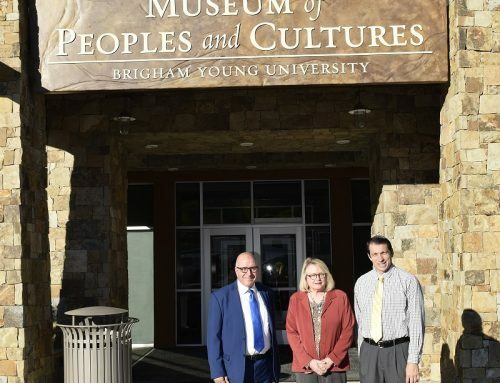 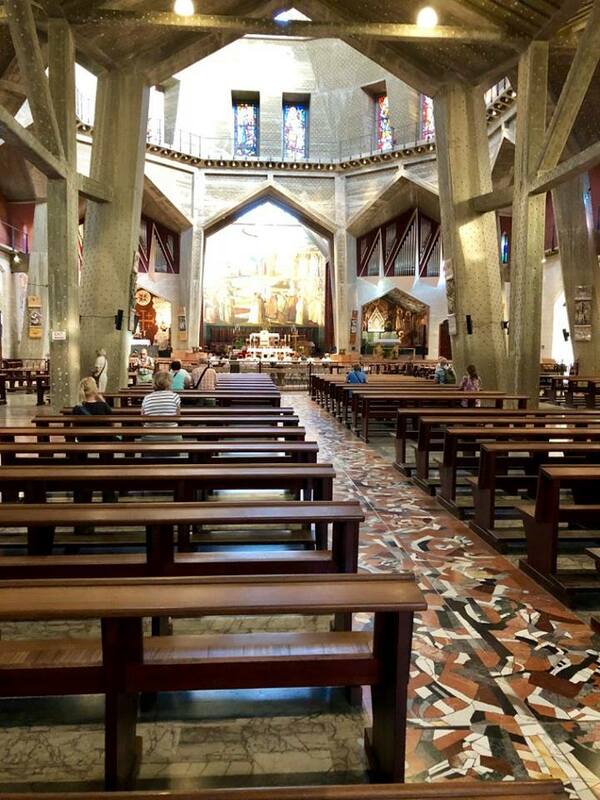 They toured Bethlehem Museum, a museum dedicated to exhibiting the contributions of Palestinian Christians to the local cultural fabric, where they heard a presentation by Claudette Habesch, a member of HCEF’s Advisory Board, about the local Christian community and HCEF’s work on their behalf. 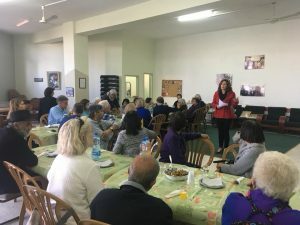 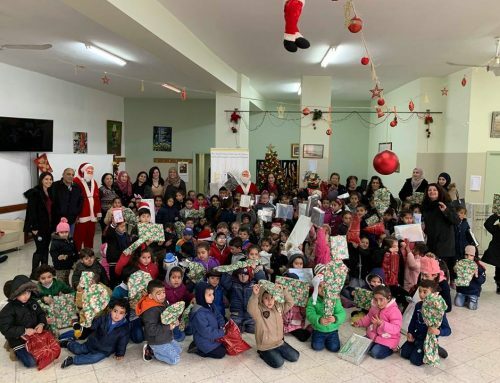 The pilgrims celebrated Mass with Pastor Louis Hazboun and the local Palestinian Christian community at the Birzeit Queen of Peace Latin Church, and afterward, visited the Birzeit Social Development and Cultural Center, where they had lunch with community elders and learned about their lives in the Holy Land. The pilgrims also had an audience with Fr. 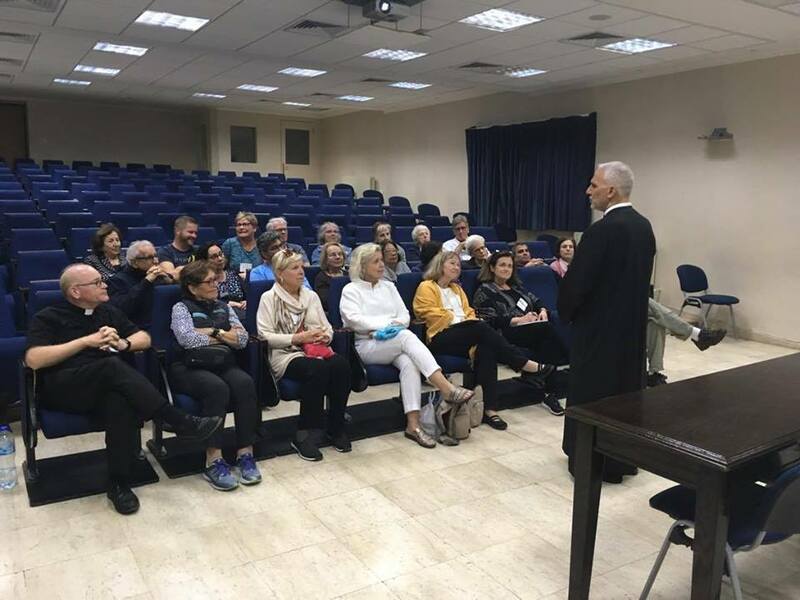 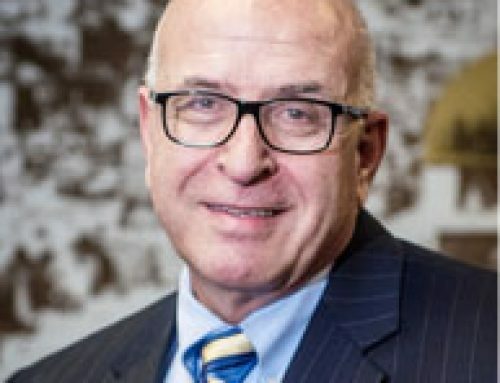 Emil Salayta, HCEF Co-Founder and President of the Latin Patriarchate Ecclesiastical Court at the Latin Patriarchate in Jerusalem (LPJ) where they learned about the work of LPJ, and how they can build solidarity with the Palestinian Christian community. 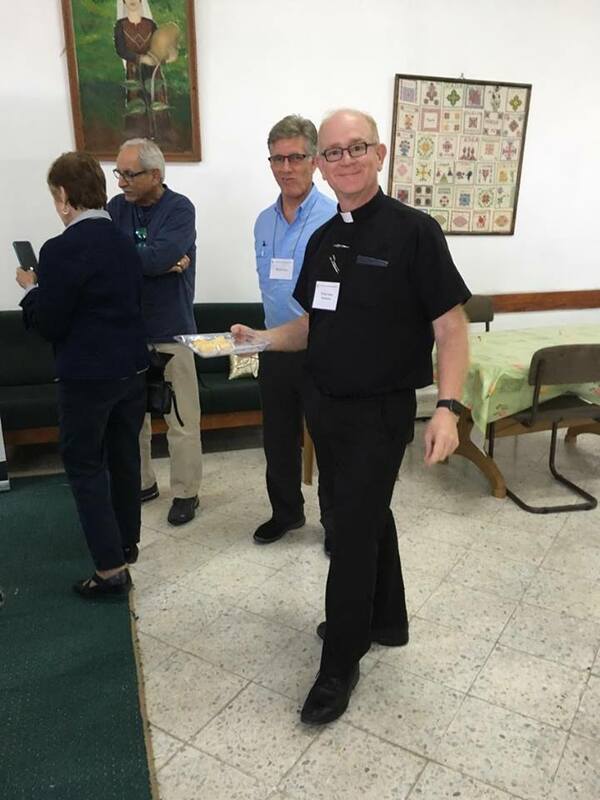 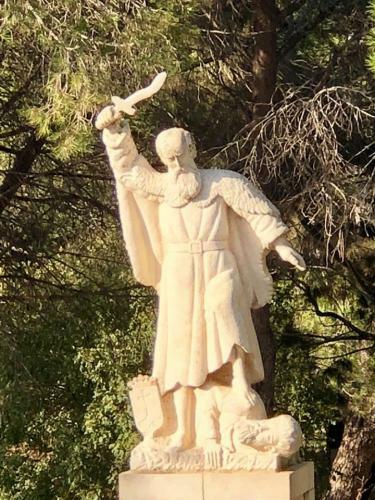 HCEF welcomes our Boston pilgrims to the Holy Land, who will bless us with their presence through November 17th. 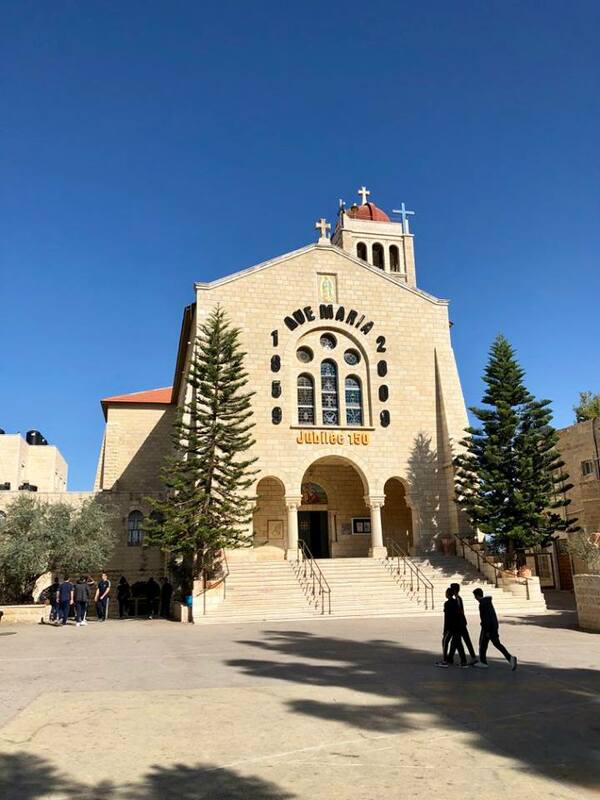 We wish them a meaningful and transformative journey, and we hope they are a sign of good things to come for the people of Bethlehem, and for all people of good will.